The first Scottish Wars of Independence began with the English invasion of Scotland and the sacking of Berwick by Edward I in March 1296 followed by a heavy defeat inflicted in the Scots army at nearby Dunbar. In July, John Balliol, King of Scots abdicated and the following month at Berwick some 2000 Scots freeholders swore fealty to Edward I as King of England. In that number was Patrick de Comenagh del Air – the Earl of Dunbar who held the lands of Cumnock including Cumnock Castle, on the hill overlooking the meeting place of the Afton Water and the River Nith. 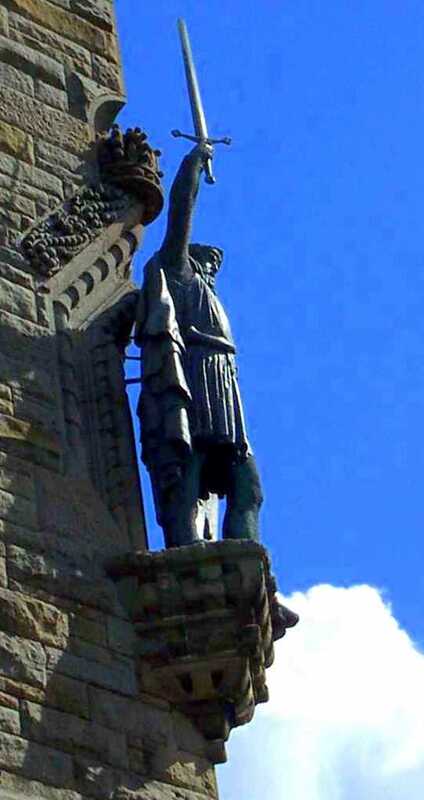 In the spring of the following year William Wallace ‘lifted his head against the English’ and slew the English sheriff of Lanark and by the autumn he joined his forces with those of Sir Andrew Murray and together they defeated the English army on 11th September 1297 at the Battle of Stirling Bridge. Murray died of his wounds and Wallace was later knighted and appointed Guardian of Scotland. Humiliated, Edward I retaliated and led the English army north and on 22nd July 1298 defeated the Scots army under Wallace at Falkirk. On the return journey south Edward I rested at Cumnock Castle, guest of the Earl of Dunbar. Sir William Wallace stood down as Guardian and visited the court of the King of France as a political envoy while the Guardianship returned to the hands of nobles, including Robert the Bruce and John Comyn as joint Guardians. Wallace returned to Scotland in 13o1 but the French support for the Scots faltered as they turned to Edward I for support to quell a rebellion in Flanders. The Scots nobles capitulated and in 1304 John Comyn negotiated the Scots submission to their English overlords. Sir William Wallace refused to submit and was declared an outlaw and he and his followers continued to resist the English occupation of Scotland. On the 3rd August 1305, Sir William Wallace was betrayed and captured by Sir John Menteith near Robroyston and taken to London where on 23rd August he was executed. At Dumfries, on 10th February 1306, Robert the Bruce killed John Comyn and six weeks later was crowned King of Scots at Scone. Following early set-backs and defeats to the occupying English forces Bruce and his followers escaped the mainland to take refuge during the winter of 1306/07 before returning to his native south-west Scotland in the Spring. Victories at Glen Trool in Galloway and Loudon hill, Ayrshire infuriated Edward I and the ageing King of England led a great army north but died near the border in early July. His son Edward II took up the task of trying to capture Bruce, leading the army through Nithsdale and into Ayrshire to set up camp at Cumnock Castle in August. Bruce evaded capture in the hills of New Cumnock and Edward II, not for the last time, went homeward to think again. The King of Scots was free to escape from the south-west corner of Scotland and to swell his support and recapture many of the English occupied castles throughout Scotland. 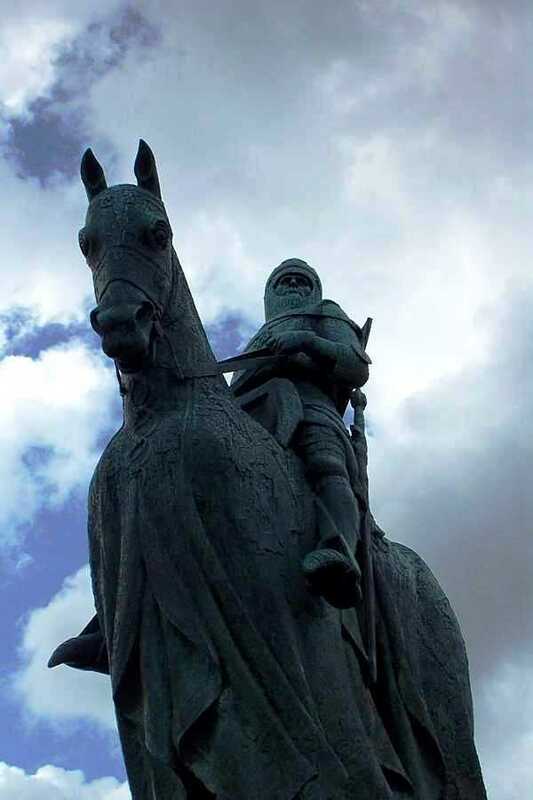 In the summer of 1314 Edward II returned north to relieve Stirling Castle but his army was defeated by the Scots army under King Robert the Bruce on the 23/24 June 1314 at the Battle of Bannockburn. The Earl of Dunbar, still Edward’s man, led the vanquished King of England from the battlefield. Dunbar, later submitted to Bruce and his seal with that of many of other Scot nobles appears on ‘The Declaration of Arbroath’ of 1320, Scotland’s declaration of independence. Some eight years later Edward II signed the Treaty of Edinburgh – Northampton recognising Scotland as an independent country and Robert the Bruce as King of Scots.